This theme is called Boss, and it's by far the best theme/engine available for membership sites on WordPress. You will find nothing better if you want to build a membership site -- it includes so many features, it's hard to call it a theme. Boss builds on BuddyPress to include everything you need to build a members-only community. Boss even includes multiple levels of membership, and paid membership via Stripe, Braintree, Paypal, 2Checkout, and more. And you can do it all without any code. We chose Boss because it is infinitely customizable and has plugins for all different types of membership sites. 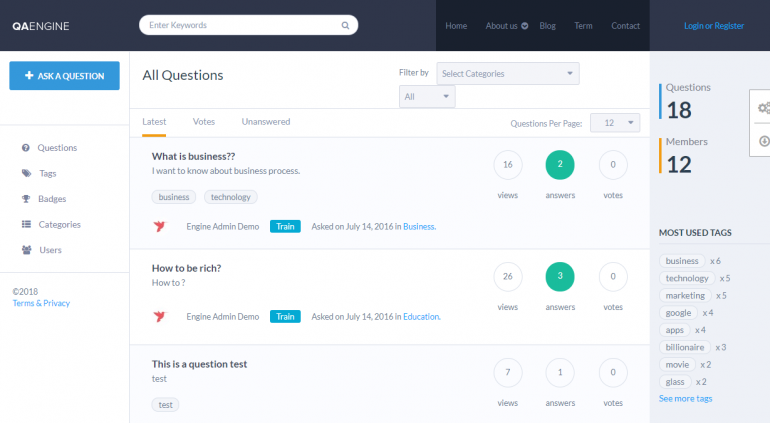 Boss allows you to build an online learning membership site, a Facebook-like site, and even an Instagram-like site by adding plugins. Additionally, Boss is SEO optimized, has map integration, has a drag and drop builder, supports WooCommerce, offers multiple color choices, is skinable, integrates with social media, offers free suppport, and includes multiple layouts. Included with Boss are icons, background images, fonts, custom widgets, AJAX functionality, Retina images, and demos. Boss is geared toward experienced users, and may be a bit tricky for novices. Boss enjoys a large user base, so it is easy to obtain help and support. Boss works well on tablets and mobile devices. It is also multilingual. The drawbacks of Boss are that it is may require setup support. Nevertheless, you can't do better if you're looking to build a membership site. 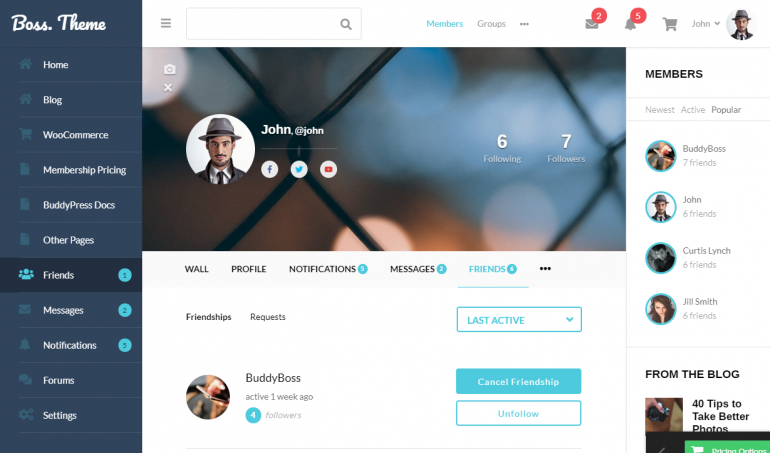 This theme is called OneSocial, and it's essentially a lite version of Boss, the the best theme/engine available for membership sites on WordPress. OneSocial includes most of the features from Boss that you need to build a membership site. Like Boss, OneSocial is infinitely customizable and has plugins for all different types of membership sites. OneSocial is SEO optimized, has map integration, has a drag and drop builder, supports WooCommerce, offers multiple color choices, is skinable, integrates with social media, offers free suppport, and includes multiple layouts. However, it's missing a few important features that Boss has, like user defined membership levels, and paid membership. Included with OneSocial are icons, background images, fonts, custom widgets, AJAX functionality, Retina images, and demos. OneSocial is easier to setup than Boss, but it's still geared toward experienced users, and may be a bit tricky for novices. Boss enjoys a large user base, so it is easy to obtain help and support. Boss works well on tablets and mobile devices. It is also multilingual. 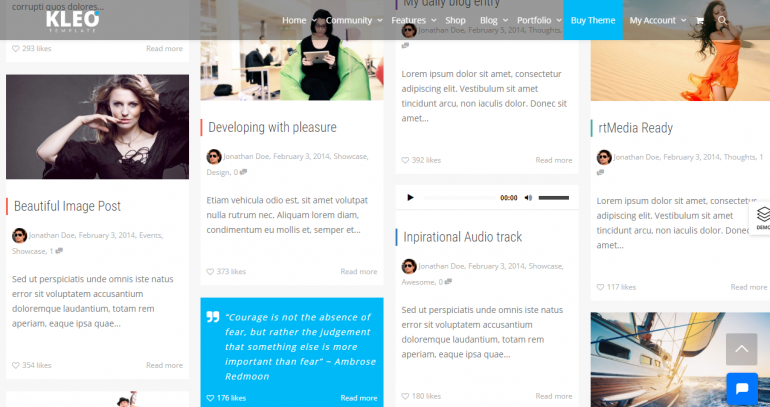 Social Blogger is another theme based on Boss. This theme is for a blog-based membership site. It's best if you have a blog that you want to add a community, and paid/unpaid members to. In addition to having most of the features of Boss, Social Blogger is one of our favorite themes because it includes plugins, has many customization options, is SEO optimized, has a drag and drop builder, supports WooCommerce, offers multiple color choices, is skinable, integrates with social media, offers free suppport, and includes multiple layouts. Social Blogger makes a great base for a membership site because it contains functionality like: blogs for each member that can be collated and approved for publishing on the main site. Social Blogger enjoys a large user base, so it is quick and easy to find help and support. It also works well on tablets and mobile devices. It is also multilingual. Unfortunately, Social Blogger is missing the user defined membership levels and payment functionality that's available in Boss. QAEngine is a membership theme from EngineThemes that is designed for building a question-and-answer oriented site. It makes a perfect base for a membership site because it allows users to pay to access certain functionality, it includes badges and points, and it provides polls and other interactive content. QAEngine has a large user base, so it is simple to find help and support. This theme includes plugins, provides built in search, has many customization options, is SEO optimized, offers multiple color choices, is skinable, integrates with social media, offers free suppport, and includes multiple layouts. QAEngine is tailored toward experienced users, and you may want to further style it to make it look the way you want. Included with this theme are icons, fonts, custom widgets, and AJAX functionality. QAEngine is mobile friendly. It is also multilingual. 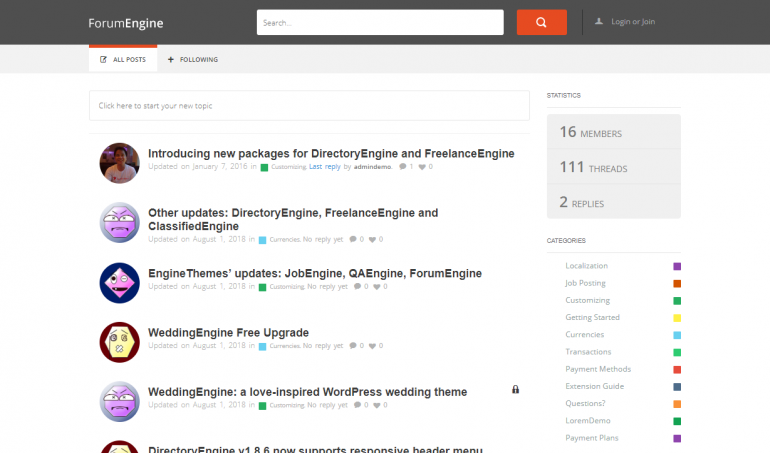 ForumEngine is a theme designed for membership forum sites made by EngineThemes. In addition to having all of the functionality you need for a forum, ForumEngine has most of the important features you would want in a membership site. The only feature that is lacking is the ability to charge for membership. ForumEngine includes plugins, has many customization options, is SEO optimized, has a drag and drop builder, offers multiple color choices, is skinable, integrates with social media, offers free suppport, and includes multiple layouts. It is geared toward experienced users, and may require some effort for beginners to setup. ForumEngine enjoys a large user base, so it is quick and easy to obtain help and support. Additional stuff included with ForumEngine are icons, fonts, custom widgets, AJAX functionality, and demos. ForumEngine is mobile friendly. It is also multilingual. Aardvark is a membership engine that includes many different themes. Aardvark allows you to build membership-based dating sites, e-Learning sites, directories, communities, stores, and social networks. It includes most of the functionality you need for a membership site, such as user management and store integration. Unfortunately, it requires additional software to do paid memberships. Aardvark includes several plugins, has many customization options, is SEO optimized, has a drag and drop builder, supports WooCommerce, offers multiple color choices, is skinable, integrates with social media, offers free suppport, and includes multiple layouts. Additional stuff included with this theme are icons, fonts, a slider plugin, custom widgets, and demos. Aardvark is mobile friendly. You will notice that Aardvark is tailored toward more advanced users, and may be a bit tricky for beginners due to all of the customization and configuration choices. If you don't mind buying additional plugins to build out your membership site, this is a great choice. If you're looking to build a dating membership site, check out Gwangi. In addition having multiple themes for different types of dating sites (classic, youth, etc), Gwangi is one of our favorite membership themes because it offers Tinder functionality, friends, matchmaking, member blogs, and more. However, if you want to charge for memberships, you will need to buy the Paid Memberships Pro plugin, which can cost up to $600/year. Gwangi plugins, provides built in search, has many customization options, is SEO optimized, supports WooCommerce, offers multiple color choices, is skinable, and offers free suppport. This theme is simple to install although it can take a bit to fully master. Some of the things that come with this theme are icons, background images, fonts, custom widgets, and demos. Although it is may require additional plugins, we picked Gwangi due to the fact that it is elegant, and among users, it's very highly reviewed. We're certain it'll be a excellent complement to your website. Here's something a bit different: a plugin. 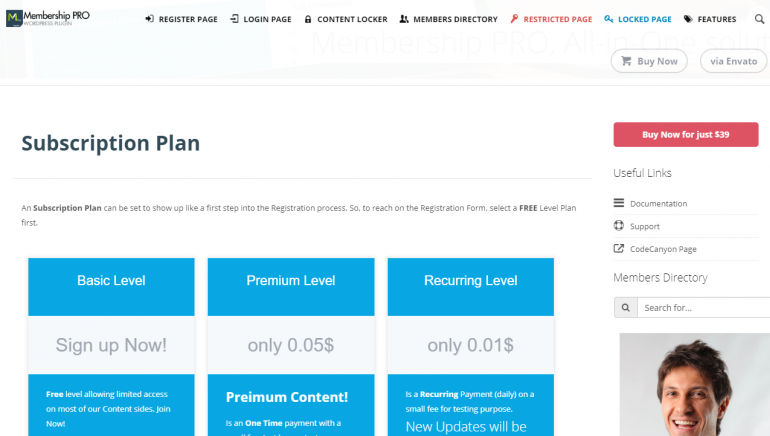 This plugin is titled Ultimate Membership Pro, and you can buy it from Themeforest. This plugin makes a perfect base for a membership site because it includes functionality like: multiple levels, free and paid membership, access restrictions, multi payments, recurring payments, and even a trial. If you are looking for a plugin to handle memberships, this is the one for you. Unfortunately, it doesn't come with a theme, so you will have to install a theme and make sure that the plugin and the theme work together correctly. Ultimate Membership Pro is tailored toward more advanced users, so you may need setup support for it. Ultimate Membership Pro has a large user base, so it is easy to get help and support. It also works well on tablets and mobile devices. It is also multilingual. 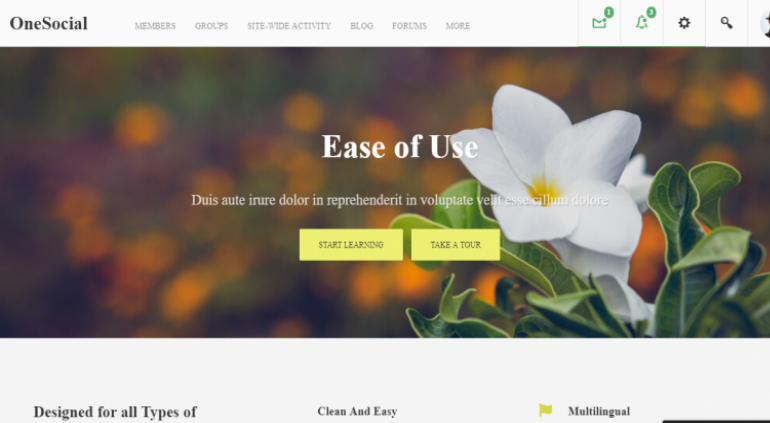 This theme is titled Thrive, and you can obtain it from Themeforest. 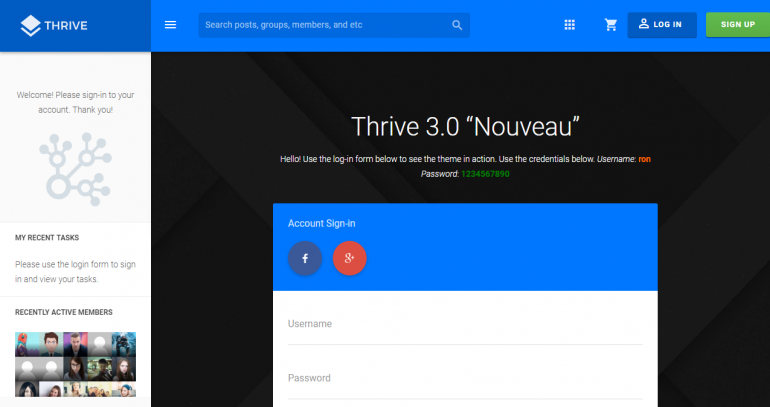 Thrive makes a great base for a membership site because it contains features like personal login pages, groups, activity streams, project management, file sharing, and events. However, it doesn't allow for paid membership or some of the enhanced features that Boss has. 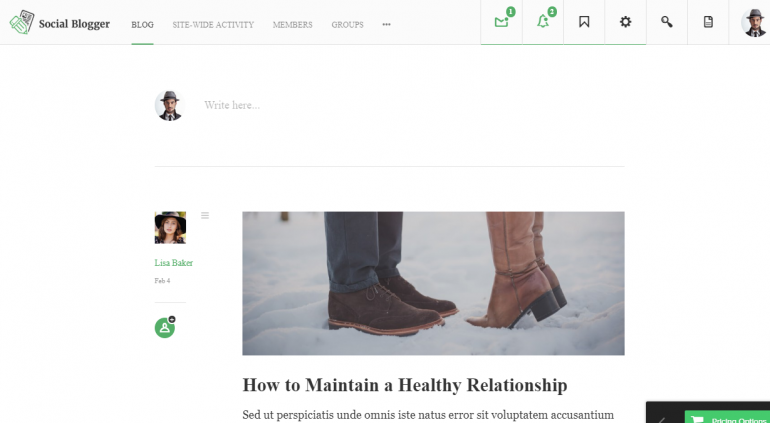 Among users, Thrive is highly reviewed. A few of the noteworthy benefits of Thrive are: it includes plugins, provides built in search, has many customization options, is SEO optimized, supports WooCommerce, offers multiple color choices, is skinable, integrates with social media, offers free suppport, and includes multiple layouts. Additional stuff included with Thrive are icons, fonts, a slider plugin, and custom widgets. Thrive enjoys a large user base, so it is quick and easy to find help and support. This theme is a breeze to configure although it can take time to learn. Thrive looks great on mobile. It is also multilingual. The drawbacks of Thrive are that it is has many options, making configuration complicated. Nevertheless, this theme is a good option for your website. KLEO is a highly customizable membership theme available at Themeforest. KLEO can be used to create nearly any type of social or membership site, and the package includes nearly a dozen demo themes from Pinterest to a business directory. It includes plugins, provides built in search, has many customization options, is SEO optimized, has a drag and drop builder, supports WooCommerce, has a 1-click install process, offers multiple color choices, is skinable, offers free suppport, and includes multiple layouts. 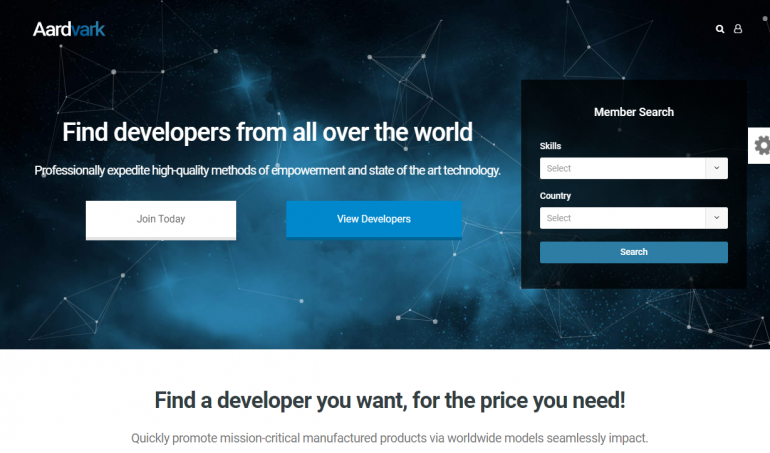 This theme makes a perfect basis for a membership site because it contains lots of useful features; however, it lacks payment functionality and some other features that we find useful. KLEO is popular with a large user base, so it is quick and easy to find help and support. KLEO is tailored toward experienced users, and may require some effort for novices. Although all of the options above are great, they can be complicated to set up and manage. More importantly, they also may not fit your requirements exactly. Do you want something special in your membership site? Need a higher level of security or different permissions? Or do you simply want someone to build your membership solution for you? Surprisingly, it's easy and cheap to get a custom solution for a membership WordPress site. We found a Fiverr seller who will build you a custom membership site (or add membership functionality to your current site) starting at $80. That's right -- for only a few dollars more than you would spend on the themes above, you can get a customized membership site. Now, depending on your level of expertise with WordPress -- as well as many other factors -- you may or may not want someone to build the solution for you. But there's no doubt it's worth looking into this as an option...and with such high reviews, it may be the solution for you.